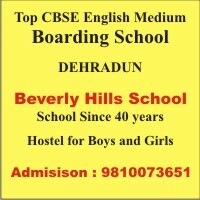 St. George’s College (Mussoorie), is a premier boarding school in Mussoorie, in the state of Uttarakhand, India, affiliated to the ICSE council. The school, an all-boys residential and non-residential institution, spreading over 400 acres (1.6 km2) of land, was founded in 1853 by the Capuchin Fathers and entrusted to the Society of the Brothers of St. Patrick (Ireland) in 1894. It was opened in a cottage known as Manor House; the name by which the campus is still known. The students are known as Manorites. The school has an alumni network spread across the globe. In 2005, the Indian Air Force gifted the school a trainer jet aircraft, TS-11 Iskra, as a tribute to the distinguished service of the school’s alumni in the armed forces. The school was founded in 1853 by the Capuchin Fathers who handed it over to the Society of the Reverend Brothers of St. Patrick (Ireland) in 1894 with Bro. Stapleton as its first principal. While St. George’s College was founded in 1853, another school, St. Fidelis High School, was started in the same location in 1863. Initially, the Capuchin Fathers ran both schools with Father James Doogan as principal of both schools from 1873 till they were handed over to the Patrician Brothers in 1894. In 1948, St. Fidelis High School was amalgamated with St. George’s College. There still are old directional markings on the school campus pointing towards the old St. Fidelis. In the early 1900s, the then Principal, Bro. Haverty, levelled the top of the hill to create what is the Top Flat, the school’s largest playing field.